Enclosed are a few photos of your V-Dory that I just completed. It has a trunk cabin forward and a pilot house and a work deck. I put a 120 hp Force on it and I can't tell you how pleased I am with it. I have never clocked it, but I know it goes faster than I need to go. So it's very easy on gas. This V-Dory has one extra frame. I'm thinking of building another with 2 extra frames and a little larger pilot house. 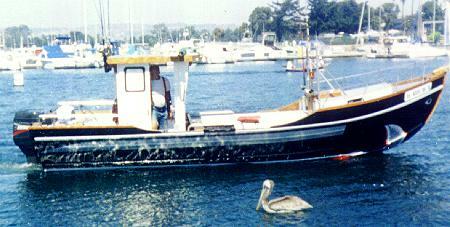 Just sold the (Sweet) Caroline Dory I built a few years ago. Was very happy with that boat too. 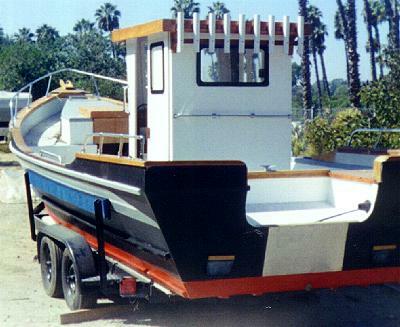 Also enclosed is a photo of the Hunky Dory I built about 10 years ago.